Closet London's new Highland Shadows Collection is inspired by rolling landscapes in the heathered highlands of Scotland. This beautiful dress has a round neckline, v-neck back and a full pleated skirt with a slit in the front to add a touch of seductiveness and class. 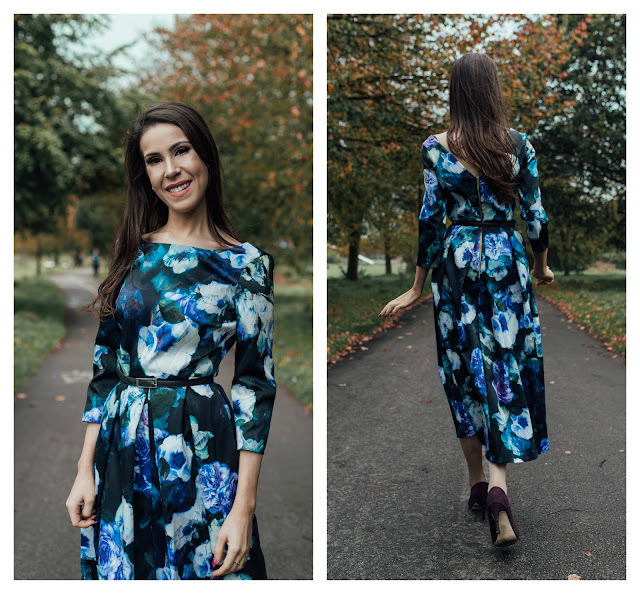 I spent an autumn morning walking round Rowntree Park in York and this floral printed dress in deep dark purples and blues, teals and moss green with a pop of this seasons colour - Chartreuse. 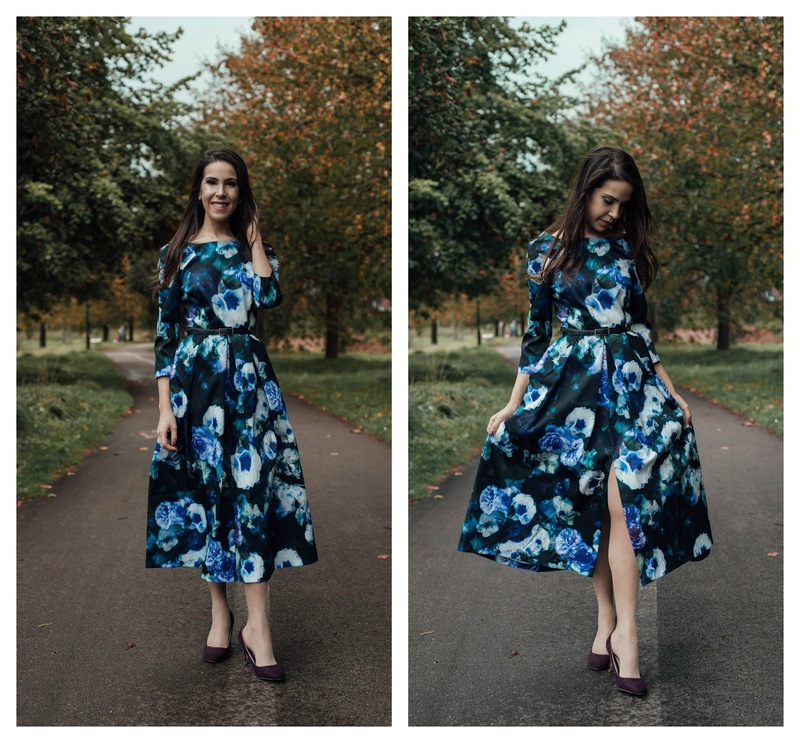 These colours contrast beautifully with the autumnal landscape and create a great style. I paired this dress with thin black leather belt to excentuate the fullness of the skirt and dark purple heels to compliment the colours in the dress. You can see the whole of the Closet London Highland Shadows range here and if you want to get hold of the dress I have styled you can purchase it for £95 with free delivery here. Also if you sign up to their Newsletter you can receive 10% off your first order, what more could you want! 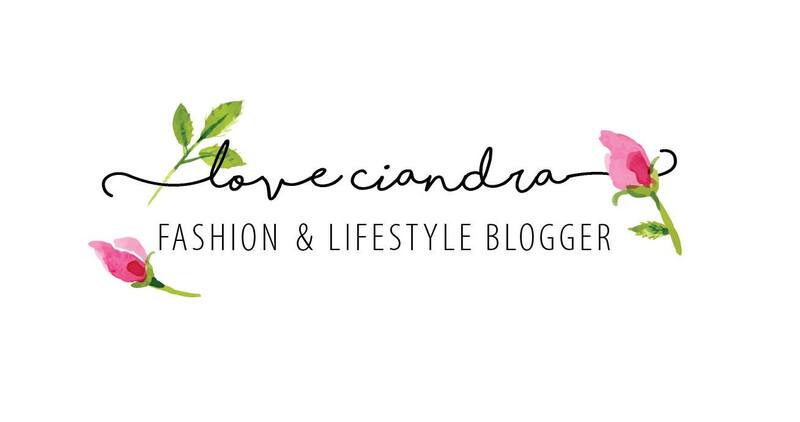 Cant wait to see how you style the collection!